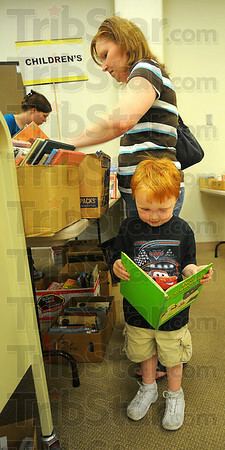 Found one: Greysen Hollifield looks through a book while his mother Tabatha searches through boxes of children's books at the Vigo County Public Library book sale Saturday. The sale continues from 1-4:00p.m. today.